Leading the Pack is a regular feature that highlights faculty and staff members who go above and beyond to fulfill SIU’s Mission. If you would like to nominate someone to be featured, fill out our nomination form. While Akami Eayrs’ job description might center on recruiting and admissions, she doesn’t stop there. Her goal is to find the perfect fit for every student in his or her educational, housing and financial decisions, and she is willing to get creative and go out of her way to do it. As director of admissions and financial aid in the SIU School of Law, Eayrs has many opportunities to interact with students and their families. When asked what made the ultimate difference in their decision to come to SIU, students and their parents often say that Eayrs made them feel so welcome throughout the process that it sealed the deal for them. When Eayrs first came to SIU in 2005, she wasn’t certain how long she would be here. But after spending just a little time working with students, she was hooked. After earning her bachelor’s degree in communications and public relations, Eayrs worked in the corporate world in Kansas City for a few years. However, she soon began to question her purpose, and after reflecting on her positive experience as an undergraduate student, she wanted to move back into a field where she could make a difference. A big part of Eayrs’ job is to travel across the nation to recruit and talk with potential students, which she feels is a great way to understand their various concerns and questions. When she is not traveling for work, she carries that global perspective on by visiting as many places as possible with her 10-year-old son to increase their appreciation for new cultures and experiences. Eayrs is confident that the future belongs to the next generation of students, and her favorite part is building personal relationships and watching them grow and develop. She might consider herself a bit of dreamer, but that very attitude is what often motivates those around her to reach for their own personal goals. For her, students aren’t another number on a page or a task on a to-do list. Every student is different, and Eayrs is devoted to building a bond of trust with each one. After admittance, students often still return to her for advice and assistance on a variety of issues that come up. As soon as they walk in, Eayrs is happy to listen and guide them towards solutions that best support each of their specific dreams and goals. Eayrs finds the community aspect of SIU to be a vital part of the success of the whole system, which motivates her to serve as representative for sector 3 of SIU’s Administrative and Professional Staff Council. As a member of the official representative body for all A/P staff on campus, Eayrs works hard to communicate the various views and opinions of her colleagues. 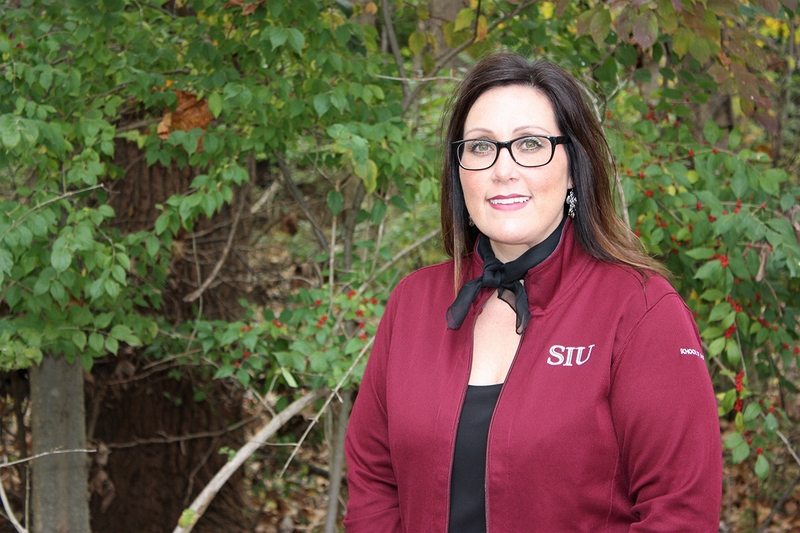 For Interim Dean Cindy Buys, Eayrs is an invaluable part of the SIU team and demonstrates the essence of true Saluki spirit. But Buys added, she goes beyond her job description to ensure student success.